Why choose Airivo for your next office? There are many providers of high quality, flexible office space across the UK, however, at Airivo, we go ‘the extra mile’ to ensure ‘your office, your way’ is a complete office solution which allows you to customise ‘your space’ and benefit from the business community you will be joining. Independently owned for more than 15 years, our dedicated onsite teams with a passion for customer service, ensure the moving in process is as seamless as possible. As well as our wealth of experience, we provide you with a supportive environment for you to focus on your business. 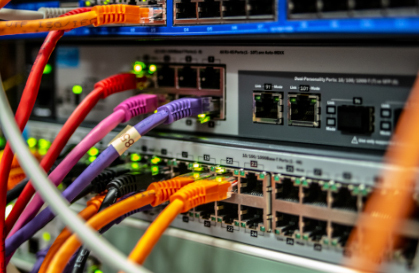 Industry standards dictate super-fast business grade internet connectivity within Serviced Offices, but at Airivo we have gone a step further to provide flexible dedicated internet packages to suit your business and budget. For many businesses, a loss of internet can be crucial to the efficiency and performance of the organisation, that’s why we’ve invested heavily to provide backup solutions in every location. So, should the worst ever happen at the local BT exchange or even road works resulting in a loss of service, we have standby fibre connections routed to alternative exchanges to ensure an ‘always on’ internet connection. 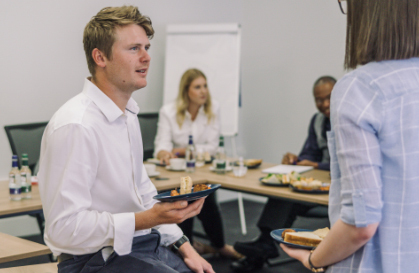 We hold informal events at our centres to help connect small business operators with other like-minded business owners, large and small. When you move into one of our centres, you will become part of our community. Our onsite teams provide support for you and your staff. Whether you need help to find resources or printing and laminating, we will be more than please to help where we can. 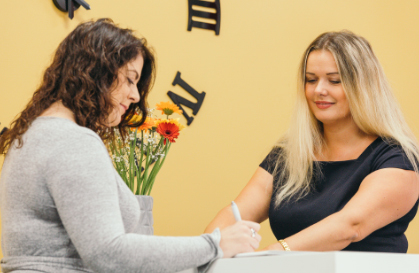 The world of work is becoming a more casual and relaxed environment, but at Airivo, whilst we are approachable and friendly, we still maintain a smart, professional service to our clients. soon notice the difference to our service we provide our clients.